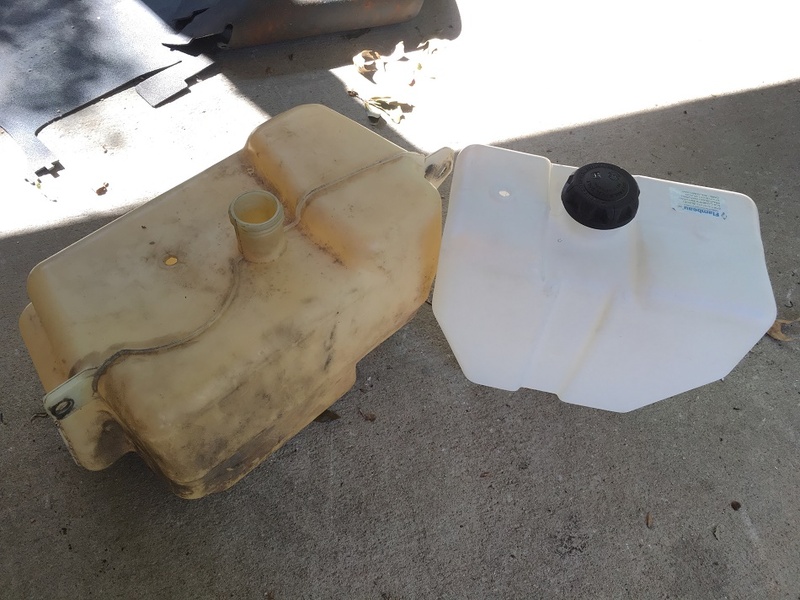 Well I was right and wrong about going to pick up the original gas tank. I was correct in that I wound up not using it. I was incorrect on thinking that it would be only 3-4 months on when I would be needing a gas tank. Anyway, the factory tank just wasn’t going to fit. It would come very close to hitting the clutch and awfully close to exhaust. I’m guessing the factory tank is around 7 gallons. 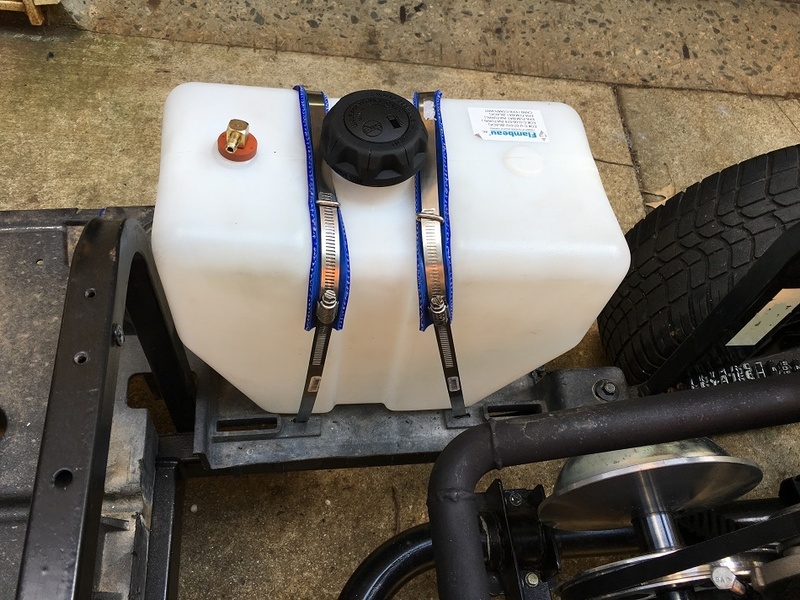 A 4 gallon tank is all that is going to fit well in my cart. This entry was posted on September 30, 2017 by Harold Bawlzangya Racing. It was filed under golf cart .